Clothing stores are still relying on a relatively simple principle of ‘boxes’ in which there are one or more mirrors. With Intel MemoryMirror gadget things in the future could certainly change. 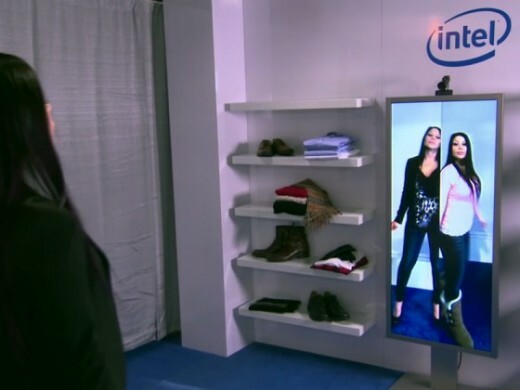 Consumers will be able to try on several pieces of clothing on themselves, rotate it and send the captured image to the ‘assessment’ by friends or simply take a look at the pieces of goods again at home.